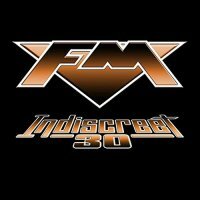 Timed to coincide with the thirtieth anniversary of their debut, the titular 'Indiscreet', FM have crafted an enjoyable reinterpretation of an album clearly beloved by fans of the enduring UK quintet, with seven bonus tracks enhancing this tantalizing package further still. Familiarity with the original recordings is essential in order to assess the success, or otherwise of the new interpretations. 'American Girls', 'Face To Face' and 'Other Side Of Midnight' stand out as notable highlights to these ears, as, while already personal favourites in their original guise, these 2016 versions carry a subtle, yet appreciably effective dose of added propulsive dynamism. I can't decide, despite repeated listens, if 'That Girl' is performed at a quicker tempo than the original – it certainly sounds brisker. Of the seven bonus tracks, the 1987 stand-alone single 'Let Love Be The Leader' is also re-recorded, yet it continues to remain this reviewer's least favourite FM song. Versions of three previously released EP-only numbers follow. Of those, 'Bad That's Good In You' (from 2014's Futurama EP) is significantly brightened by the additional deft keyboard embellishments of Jem Davis, thus making an already great song now essential, while 'Rainbow's End' and 'Shot In The Dark' (both from the 2012 'Only Foolin' EP) are slightly different edits of the originally released cuts. Breezy new song 'Running On Empty' rides on a prominently pulsating bass line, courtesy of Merv Goldsworthy, and has a mid-tempo, feel-good vibe similar to 'I Ain't The One' from 'Metropolis. 'Love And Hate', a song from the 'Heroes And Villains' sessions that was only ever included on the double vinyl release, bristles with hitherto uncharted menace. A spine-tingling acoustic performance of 'That Girl', taken from 2010's City Limits' EP, rounds off the package. So, would 'Indiscreet 30' have made my FM Expert's Guide in the previous issue of Fireworks? Enjoyable though it is, its inclusion would've been hard to justify as Rock Candy's 2012 re-mastered & expanded re-issue of 'Indiscreet' already represents the album more than adequately. That said, as an intriguing addition to FM's rich catalogue of recorded work, this is nevertheless a classy and charming release.